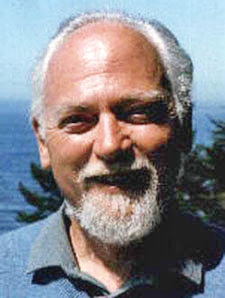 There's been a lot of discussion in this week's Cosmic Trigger online discussion about Robert Anton Wilson's predictions for technology breakthroughs in the near future, including life extension and space colonization. I wrote in the comments that "RAW's predictions on longevity have turned out badly so far, and his predictions on space travel/space colonization haven't worked out, either, but a lot of people have been wrong about the pace of space travel, including Arthur C. Clarke, who has generally done well with predictions. I've seen discussion about the unexpectedly slow pace of space travel and technology in general from Neal Stephenson, Tyler Cowen and Peter Thiel, among others." Allow me to clarify and expand on that. Eric Wagner wrote in reply, "I don't think Bob's prediction on longevity and space migration have turned out badly. I think the changes have happened more slowly than he anticipated, but the he correctly saw the trends." About whether life extension is likely to happen anytime soon, I am agnostic; I have not studied it the way that Charles Faris or Rasa have, so I don't feel qualified to offer an opinion. As for space migration, I tend to agree with Eric that it seems likely. The establishment of space colonies in orbit and on the Moon hasn't happened as quickly as RAW thought it would, but a lot of other people were wrong about that, too. In fact, many people have written in the past few years about how space travel and technology in general have not advanced as quickly as expected. Tyler Cowen wrote an entire book, The Great Stagnation, to argue that with the exception of information technology, there have been few advances in technology in the last few decades and that for the most part the way we live is very similar to how our grandparents lived. Peter Thiel has been thinking along much the same lines, and in fact referenced stagnation in his speech about a week ago at the Republican convention, saying that during the time of the Apollo space program, "The future felt limitless." "But today our government is broken. Our nuclear bases still use floppy disks. Our newest fighter jets can’t even fly in the rain. And it would be kind to say the government’s software works poorly, because much of the time it doesn’t even work at all. "That is a staggering decline for the country that completed the Manhattan Project. We don’t accept such incompetence in Silicon Valley, and we must not accept it from our government. "Instead of going to Mars, we have invaded the Middle East." 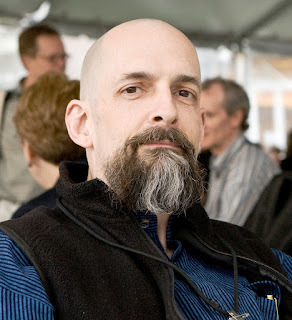 Neal Stephenson, in his 2011 essay "Innovation Starvation" (reprinted in the book Some Remarks) wrote, "I have followed the dwindling of the space program with sadness, even bitterness. Where's my donut-shaped space station? Where's my ticket to Mars? ... I worry that our inability to match the achievements of the 1960s space program may be symptomatic of a general failure of our society to get big things done. My parents and grandparents witnessed the creation of the airplane, the automobile, nuclear energy, and the computer, to name only a few." What steps should be taken to revive a sense of optimism about technology and "get things done"? Synchronistically I read this NYRB article immediately after your blog post. I would suggest that RAW was very much of his time which was generally optimistic about the future and in my lifetime (b 1962) we have seen this optimism go into reverse. This can be linked to the inevitable slowdown in technological progress and the return of wealth back to the elite. The US has become a third world nation; fearful, at war with itself, and armed to the teeth. Things should start looking up when President Trump takes office. The inclusion of sheer nonsense in RAW's gloss of immortality and longevity predictions makes me suspect he was more interested in practicing guerilla ontology than in making accurate predictions. The sheer nonsense, subtle as it may be in passing, occurs on p.123: "... that will know immortality on earth and in heaven." Echoes of the Lord's Prayer. I thought you already became immortal when going to heaven? What happens now when you die in heaven, do you go to a second order heaven or is it back to the salt mines of earth. The concept of heaven already implies immortality. I don't hold RAW accountable for the accuracy of the predictions and opinions he presented because I can't be certain of how much he believed them and how much was guerilla ontology. To answer the last question: With the exception of information technology seems a pretty major exception. A lot of us live nowhere near like our grandparents did due to information technology. A revival of optimism could occur through information technology. Cosmic Trigger and other RAW titles are available to far more people than when I looked for them in the early '80s. I doubt the sense of optimism will ever get as strong as the 60's and early 70's. It could be that technological development has slowed to give humans time to learn how to use it responsibly, to catch up. 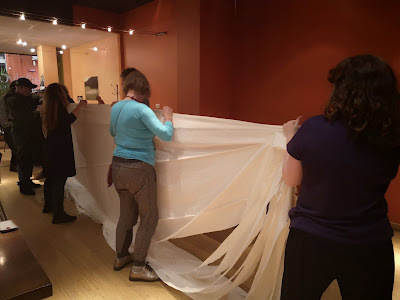 A general sense of cooperation seems needed to get big things done. That requires changes in attitude and a lot less collective fear. In my opinion, that can occur most effectively when the nervous system activates C6 in Leary's model. Information technology can disseminate how to do that. People forget that Leary proclaimed information technology as the next big step in consciousness research beyond drugs. After all, he changed the title of his book form Exo-Psychology to Info-Psychology. He was one of the most optimistic people I've ever met.